Debate is underway in Lansing over which standardized test will replace the Michigan Educational Assessment Program (MEAP). State lawmakers held their first hearing on the subject Wednesday afternoon. At the meeting, state education officials defended their decision to endorse a computer-based test known as the Smarter Balanced Assessment. They took exception to lawmakers who questioned whether the test was chosen carefully and objectively. “If something goes wrong with the assessment, I do not want to have chosen something that is not going to give me the very best thing that I can get,” said Joseph Martineau with the Michigan Department of Education. Smarter Balanced is aligned with the Common Core State Standards for math and English language arts, which were recently adopted by Michigan education officials and affirmed by lawmakers. Many in the Legislature worry Smarter Balanced could threaten local control of school curriculum because it’s being developed by a national consortium. There are also concerns about the state’s ability to drop the assessment if there are problems. Education officials say if lawmakers reject Smarter Balanced, the state risks not having an assessment to give students next spring. They say that would violate federal laws and Michigan schools could lose funding. Michigan state lawmakers are about to be put to the test. 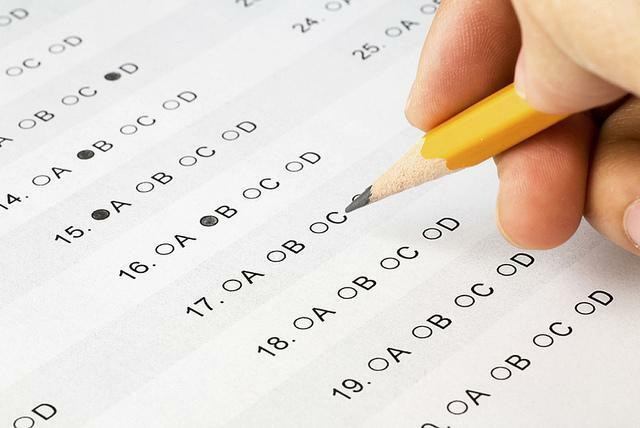 A bill in Lansing would require members of the state board of education, the state superintendent of education, the governor, senators, and representatives to take the standardized tests normally administered to students in the third, eighth, and eleventh grades. Their results would be published online. The state is launching a pilot program that’ll cover the costs of some standardized tests over the next two years. The Michigan Department of Education hopes the data from the tests will help public schools meet tougher state mandates. About two-thirds of Michigan’s 8th and 10th graders already take the pre-ACT exams. But individual districts have to pay for them. The exams line up with state standards for graduating high school.